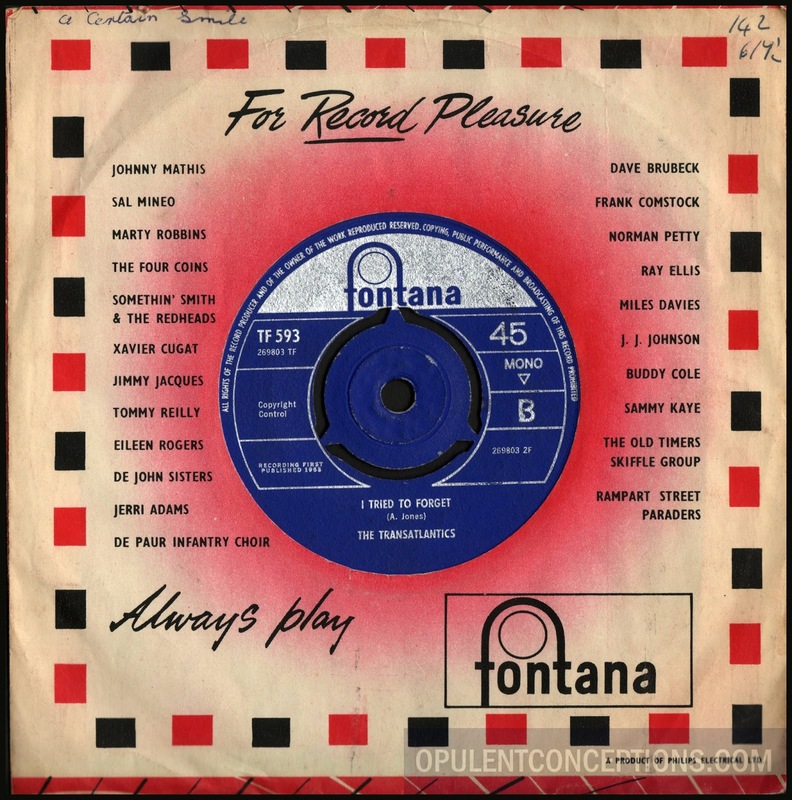 The Transatlantics were one of those British beat groups who released several singles during their short life span but none clicked with the record buying public despite having some interesting sides. 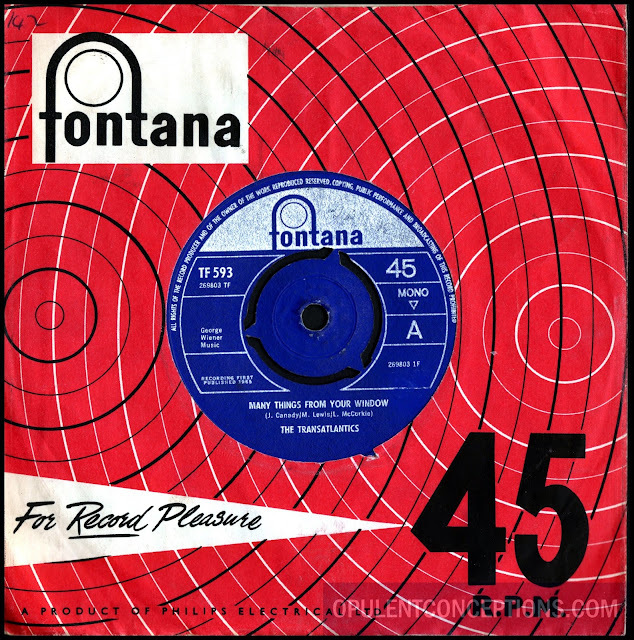 This disc was their debut release in the Summer of 1965. The top side "Many Things From Your Window" is pleasant enough Searchers inspired beat pop without much of a lasting impression. Turn it over for the very moody "I Tried To Forget" which is a sound a lot of teen garage combos from the USA seemed to be attracted to. By the way, the first three singles by The Tranatlantics were released in America on the Jubilee label. They're a group I hope to find out more about in the future.